TOKYO — Global stocks were mixed in listless trading Wednesday ahead of key U.S. jobs data later this week that could help determine how soon the Federal Reserve raises interest rates. KEEPING SCORE: France's CAC 40 rose 0.6 percent to 4,484 and Germany's DAX inched down 0.1 percent to 10,649. Britain's FTSE 100 shed 0.1 percent as well, to 6,814. 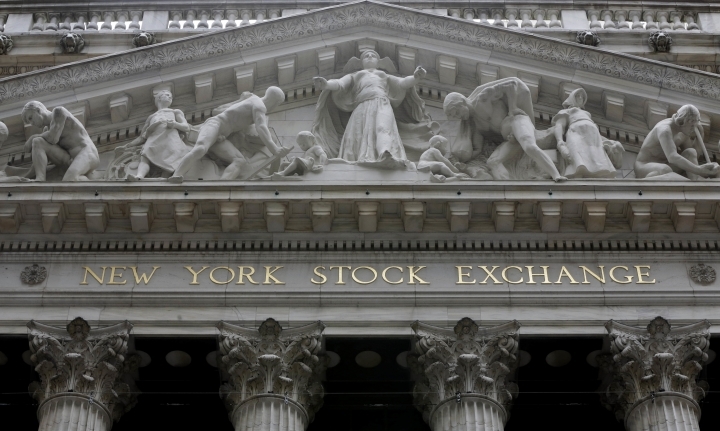 U.S. shares were also directionless, with Dow futures slipping 0.1 percent and S&P 500 futures roughly unchanged. FED FACTOR: Investors continue to wait to see whether the U.S. Federal Reserve will raise interest rates again this year — possibly as soon as September. Comments by Fed Chair Janet Yellen and Vice Chair Stanley Fisher at a conference last week in Jackson Hole, Wyoming, signaled that the Fed is ready, though they gave few clues to the timing. JOBS DATA: The next key piece of U.S. economic data is coming on Friday with the August jobs report. Economists expect employers added 182,500 jobs in August and that the unemployment rate fell slightly to 4.8 percent. A strong jobs report would give the Fed additional ammunition to raise interest rates either at its September meeting or later this year. EUROPEAN VIEW: Economic data out of the eurozone was relatively downbeat, suggesting the currency bloc's central bank could soon do the opposite of the Fed: give more stimulus, rather than tighten rates. Inflation in the eurozone was stuck at a low 0.2 percent annual rate in August and unemployment also showed no improvement at a high 10.1 percent. ASIA'S DAY: Earlier, Japan's benchmark Nikkei 225 gained 1.0 percent to finish at 16,887.40, cheered by a stronger dollar that boosts the earnings of Japanese exporters. South Korea's Kospi lost 0.3 percent to 2,034.65. Hong Kong's Hang Seng was down nearly 0.2 percent to 22,976.88, while the Shanghai Composite gained 0.4 percent to 3,085.49. ENERGY: In energy trading, benchmark U.S. crude oil fell 38 cents to $45.97. It fell 63 cents on Tuesday. Brent crude, used to price oil internationally, fell 58 cents to $47.79 a barrel. CURRENCIES: The dollar rose to 103.28 yen from 102.33 late Tuesday. The euro slipped to $1.1138 from $1.1174.